1 OWNER! CLEAN HISTORY REPORT! KEYLESS ENTRY! Preferred Auto Illinois Road has a wide selection of exceptional pre-owned vehicles to choose from, including this 2016 Hyundai Elantra. 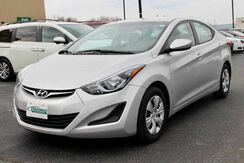 This 2016 Hyundai Elantra has great acceleration and wonderful styling without sacrificing exceptional fuel economy. 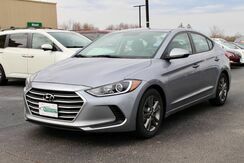 The quintessential Hyundai -- This Hyundai Elantra Value Edition speaks volumes about its owner, about uncompromising individuality, a passion for driving and standards far above the ordinary. The look is unmistakably Hyundai, the smooth contours and cutting-edge technology of this Hyundai Elantra Value Edition will definitely turn heads. The Elantra is Hyundai's entry into the compact car market, battling against household names such as the Honda Civic and the Toyota Corolla, as well as hatchbacks like the Ford Focus and MAZDA3. It is a competitive segment, but the Elantra stands out with its bold styling, roomy five-door GT, high level of equipment and outstanding warranty. Starting at $17,250, the Elantra has plenty of standard features and even manages to top 38 mpg on the highway with its 1.8L engine. A 2.0L offers a big boost in power while sacrificing little in the way of economy. 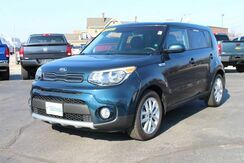 This model sets itself apart with well-equipped, with sophisticated infotainment features and options, excellent warranty, practical, Economical, and available in a variety of body styles. 1 OWNER! CLEAN HISTORY REPORT! REAR BACK UP CAMERA! TOUCH SCREEN DISPLAY! KEYLESS ENTRY! BLUETOOTH! Looking for a clean, well-cared for 2017 Hyundai Elantra? This is it. This 2017 Hyundai Elantra has great acceleration and wonderful styling without sacrificing exceptional fuel economy. The quintessential Hyundai -- This Hyundai Elantra Value Edition speaks volumes about its owner, about uncompromising individuality, a passion for driving and standards far above the ordinary. 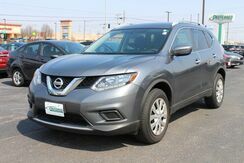 This model sets itself apart with premium features on the Limited model, fuel efficient engines, Refined driving experience, and good use of interior space. In their original incarnation, SUVs were chiefly owned by folks who valued "utility" above "sport." Not anymore! 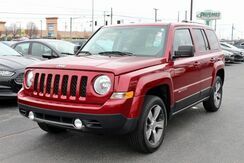 The Jeep Patriot High Altitude Edition redefines the SUV and makes the perfect "all around" family companion. When Jeep created this vehicle with 4 wheel drive, they immediately enhanced the performance ability. Easily switch between two and four wheel drive to take advantage of the improved steering and superior acceleration. The Patriot is an unexpectedly capable city car, combining a boxy, rugged-looking traditional Jeep appearance with car-like handling, good outward visibility, an interior that's comfortable for four adults and a city-friendly small-car size. The drivetrain and ground clearance, combined with a strong list of essential safety features. 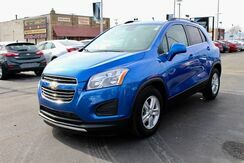 Interesting features of this model are tech options, off-road ability plus fuel economy, Interior and cargo space, maneuverability and parking ease, and safety features. 1 OWNER! CLEAN HISTORY REPORT! REAR BACK UP CAMERA! HEATED FRONT SEAT! DRIVER SIDE POWER SEAT! KEYLESS ENTRY! BLUETOOTH! 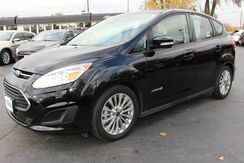 Check out this gently-used 2017 Ford C-Max Hybrid we recently got in. This 2017 Ford C-Max Hybrid has great acceleration and wonderful styling without sacrificing exceptional fuel economy. The quintessential Ford -- This Ford C-Max Hybrid SE speaks volumes about its owner, about uncompromising individuality, a passion for driving and standards far above the ordinary. 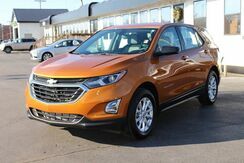 This model sets itself apart with competitive pricing, Excellent efficiency and power from both the hybrid and the Energi plug-in hybrid models, and small car styling with plenty of interior space. 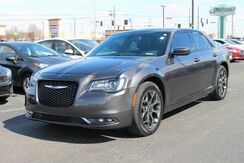 This 2018 Chrysler 300 300S is offered to you for sale by Preferred Auto Illinois Road. This AWD-equipped vehicle handles well in any weather condition. You'll benefit from superb handling, improved steering and excellent acceleration. 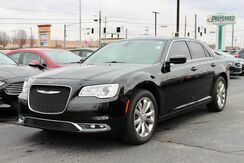 Driven by many, but adored by more, the Chrysler 300 300S is a perfect addition to any home. ONE OWNER -- RS PACKAGE, REAR SPOILER, KEYLESS START, BACKUP CAMERA, SMARTPHONE INTEGRATION, READY FOR WARM WEATHER DRIVING! 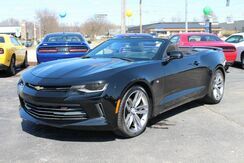 Those shopping for a sporty convertible would be wise to check out this Chevrolet Camaro LT. With the versatility to easily switch between open-air and closed-cabin driving, it's hard to ignore the everyday practicality of this Camaro. Just what you've been looking for. 1 OWNER! CLEAN HISTORY REPORT! REAR BACK UP CAMERA! TOUCH SCREEN DISPLAY! DRIVER SIDE MEMORY SEAT! HEATED LEATHER SEATING! PANORAMIC MOON ROOF! KEYLESS ENTRY! REMOTE START! PUSH BUTTON START! BLUETOOTH! 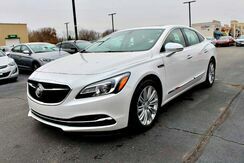 Preferred Auto Illinois Road has a wide selection of exceptional pre-owned vehicles to choose from, including this 2018 Buick LaCrosse. This wonderfully fuel-efficient vehicle offers a supple ride, quick acceleration and superior styling without sacrificing MPGs. You could keep looking, but why? You've found the perfect vehicle right here. 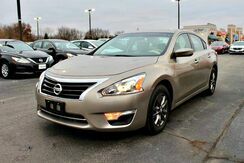 There are many vehicles on the market but if you are looking for a vehicle that will perform as good as it looks then this Buick LaCrosse Essence is the one! This is about the time when you're saying it is too good to be true, and let us be the one's to tell you, it is absolutely true. 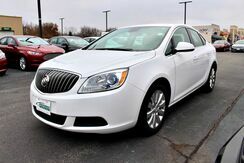 You can find this 2015 Buick Verano and many others like it at Preferred Auto Illinois Road. You don't have to sacrifice style or comfort with this fuel-efficient Buick Verano. Exceptional in every sense of the word, this incredibly low mileage vehicle is one of a kind. The look is unmistakably Buick, the smooth contours and cutting-edge technology of this Buick Verano will definitely turn heads. The 2015 Buick Verano is at the leading edge of a new kind of sedan -- one that's compact, yet refined, comfort-oriented and luxurious, yet at a price that's a bit lower than traditional luxury brands. At the same time, the Verano Turbo can accelerate to 60 mph in just 6.2 seconds and the available manual gearbox gives it credibility as a sport sedan. The Verano also stands out from other upscale compact sedans through Buick's Quiet Tuning approach, which emphasizes isolation, smoothness and quiet for the cabin, and for its feature set, which is remarkably complete for a sedan in this price range -- including some impressive connectivity and safety technology. Thank you for visiting another one of Preferred Auto Illinois Road's online listings! 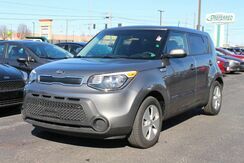 Please continue for more information on this 2016 Kia Soul Base with 15,038mi.